Your furnace is responsible for heating your home and keeping your family comfortable. 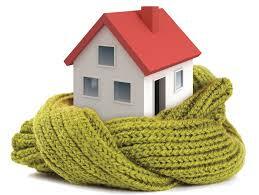 However, age or lack of maintenance can compromise the ability of your heating system to work effectively. Here are a few signs that it may be time to replace your furnace. Age is one of the most important factors to consider when deciding if it is time to invest in a new furnace. Most furnace units are built to last between 16 and 20 years. If your furnace is within this age range or even older, it is definitely time to look for a new unit for your home. Furnaces typically require frequent repairs during the last 2 years of their working lives. Constant repairs can quickly add up, making this option more expensive than simply investing in a new unit. Think about how many furnace repairs you have had in the last 2 years to determine if it is time to invest in a new one. It is normal to experience increases in energy and gas bills during the winter when you are using your heating system frequently. But if you notice higher bills throughout the year, it might be due to an inefficient furnace. As furnaces age, they have to work harder and longer to meet heating demands. High bills are one of the most common signs that you need a new furnace. Have you heard strange noises that you do not normally hear around the house? Furnaces often produce strange sounds as they get older and start working harder. Listen for noises throughout the house to determine if a new furnace is a smart investment. To learn more about maintaining or replacing your furnace, contact the experts at Russett Southwest. We help Tucson homeowners handle all of their heating and cooling needs! Contact us at (520) 629-9676 or russettsouthwest.com to get started.